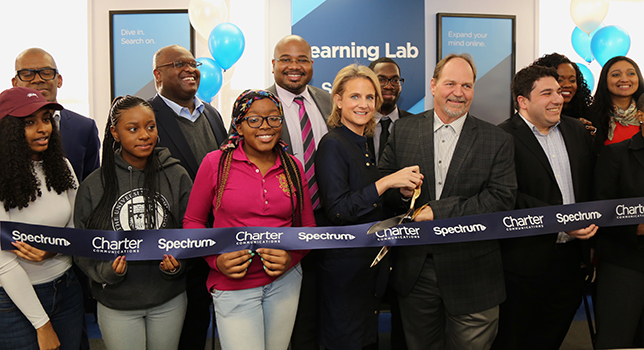 Charter Communications has joined with the Harlem Educational Activities Fund (HAEF) to open a Spectrum Learning Lab at HEAF’s main program site, located at 2090 Seventh Ave. in Manhattan. The Spectrum Learning Lab at HEAF will focus on workforce development and youth engagement, with specific concentration on digital literacy and e-learning programs. Charter’s commitment to the Spectrum Learning Lab includes Spectrum internet and TV services, computer equipment and software, flat-screen HDTVs and other furnishings. “Charter Communication is proud to partner with HEAF, an organization that has worked tirelessly to improve the lives of underserved youth in New York City,” said Camille Joseph, charter vice president of state government affairs, Northeast, in a statement. Charter and HEAF representatives gathered Wednesday with students, teachers, community members and local elected officials to celebrate the opening of the learning lab with a ribbon-cutting ceremony. 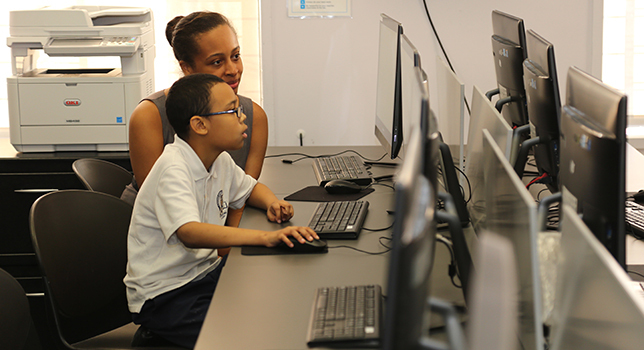 Spectrum Learning labs help participants build computer, internet and other communications skills in communities across New York City. Charter plans to open 40 such labs across the city by 2020, according to a news release. Many have already opened over the past couple of years. To learn more about the Harlem Educational Activities Fund, visit the organization’s website.